I am a dealer, specialising in Russian Area and East European Philately. You can contact me at patemantrevor@gmail.com You can also find material from my specialised stock in the regular online auction at www.filateliapalvelu.com There are 500 Posts on this Blog but no advertising, no Pop Ups.Nothing on the Blog is cut & paste from other Blogs. 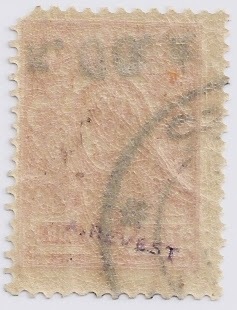 Collectors of Transcaucasia 1917 - 1923 will occasionally find the handstamp A.REVEST on the backs of stamps. From Googling, I found only that A. Revest was a member of Rossica in the 1950s and living in France. He had stamps of Transcaucasia for sale. 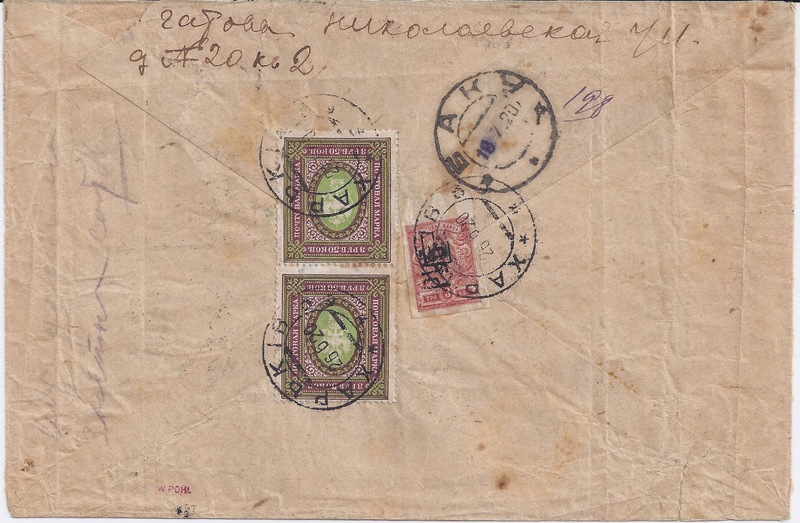 I bought the above cover as a nice example of a 10 rouble Registered franking from 1920. 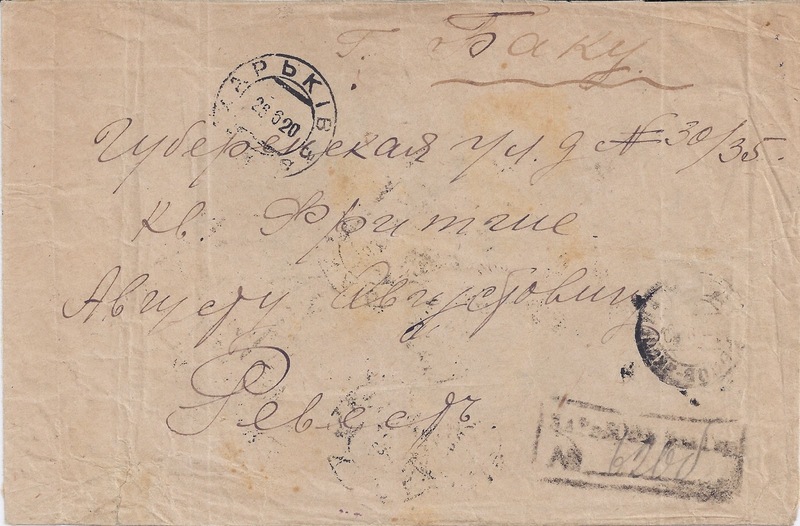 Sent from Kharkiv to Baku in June 1920, it has a pair of perforated 3r50 stamps used at face value and an imperforate 3 kopeck (with Kharkiv type 1 Trident) revalued x 100. I looked at the front and noticed the name "Revest" at the bottom and I translate the first name and patronymic as "August Augustovich". If I am right, then this is most likely to be the A.REVEST of the handstamps, living in Baku in 1920. Does anyone have more information? Thank you so much Trevor for helping those, like me, a bit lost in the Armenian catalogue. For instance I cannot figure out what the difference in Michel cat. between group 86-101 and the following one 102-118. I would say the first group is for the HH overprint on framed HP ones and the other one for unframed ones. Am I right? I have many Ukrainian Trident overprints signed by A. Revest.